AnonD-329491, 10 Nov 2014I have updated kitkat through website> it was a bug. 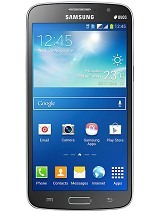 Lot of application was not working and... moreAs your set is now out of warranty so you have the option for custom ROM. Access the root of your android and then create custom ROM with the help of information available online. Manikandan, 14 Nov 2014I am using Xolo Q3000 for last 10 months. I have one issue in my mobile. It is having 2 GB RAM... moreChange preferred App location to SD card in settings . Hope, this helps u.
Amit Gupta, 14 Nov 2014Hello Bro. Please do let us know if after this update the internal app memory increases to 4gb... moreIf u updated it through service center only then the memory can be increased to 4 GB. Only the Service center technicians has the permission to format the hard disk and then re partition the app memory to 4 GB. Repartition from outside will void the warranty. deepak, 14 Nov 2014Live wallpaper not runingLive wallpaper feature is removed by xolo team due to insufficient space available in the ROM. They will retain it later. I bought this phone before 2 months, and its running so well. my battery last for two days completely with 3G vodafone connection. no lags in any of apps. once problem occurred so i close developer options n again it started running smoothly. i bought with KITKIT update only. but those who are updating from jelly bean to kitkat are gettin bit problems. see there is no such a far difference in jelly bean n KITKAT, uptill apps dont ask for such kind of updates. 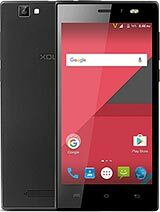 AnonD-325940, 13 Nov 2014Today on 13th November Xolo has uploaded the final KitKat update.zip file on software update p... moreHello Bro. Please do let us know if after this update the internal app memory increases to 4gb or not. i am currently using jelly beans operating system that comes with xolo q3000. 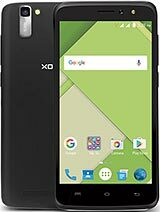 I am using Xolo Q3000 for last 10 months. I have one issue in my mobile. 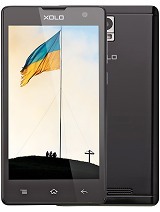 It is having 2 GB RAM & 4 GB Internal Memory. But ROM is just 1 GB and after installing few Android applications now I have very less ROM (around 100 MB) due to which application updates are not happening & new application installation becomes impossible. 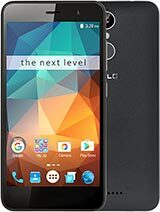 Can anyone advise how to increase my ROM in this mobile? Thank you!! I couldn't update... During the update, it stops and says error... Then it says installation aborted... And i have to force reboot the phone. ..
Today on 13th November Xolo has uploaded the final KitKat update.zip file on software update page. Now they have removed or taken back the beta update file from xolo Q3000 page. Now I am downloading the update file. But Don't know whether it can be applied to already updated OS KitKat build KK_S005 on my phone. May be i have to go to service center for update. But Don't know whether it can be applied to already updated OS KitKat on my phone. May be i have to go to service station for update. AnonD-142214, 12 Nov 2014Thanks dear bro. I keep boring u. Yes , since I have changed preferred app location to SD card... moreHello Bro. I guess sometimes its better to stick to tried and tested fundas. i am glad you made right choice. After all lot of devices ran successfully on jelly beans and so does ours so shouldn't be a big deal if we get to enjoy everything on a slightly outdated operating system. Amit Gupta, 12 Nov 2014Hello Bro. Its a mixed review here regarding battery enhacement after KitKat update. what i wo... moreThanks dear bro. I keep boring u. Yes , since I have changed preferred app location to SD card , my poor App Storage memory problem is probably solved. AnonD-142214, 11 Nov 2014Thanks bro. But I have read somewhere that Kitkat offers depleted battery backup as compared t... moreHello Bro. Its a mixed review here regarding battery enhacement after KitKat update. what i would suggest is continue with jelly beans as it is tried and tested properly. Amit Gupta, 11 Nov 2014Hello Bro. KitKat certainly is better then jelly beans in terms of ease in operation and batte... moreThanks bro. But I have read somewhere that Kitkat offers depleted battery backup as compared to Jellybean on Q3000. Is it. true ?? Its your extreme bad luck with this device as i am using it past eight months and proud to own a piece of art plus i just bought it from snapdeal for a throw away price of 15000 eight months ago. still works like a charm and regarding hastles with customer care, trust me they all be it HTC Sony Samsung or LG or whichever are all same when it comes to service. 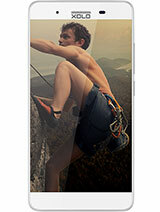 one of my friend had a nightmare experience with samsung when he bought a samsung galaxy s4. the box mentioned Qualcomm snapdragon and the mobile was having a cheap exynos processor which use to lag even at fuddu games like Dead trigger. No one expects to get cheated when they are paying 40000 rs. but he was never given proper answer by samsung guys. three months passed in this gixsaw puzzle and now when he got replacement the box officially declares a exynos octacore processor. what difference it made to him after bearing so much inconvenience. nobody want their 40000 rs gets wasted like that. We are lucky that we have put just 15000 rs on risk rather then double amount then this. 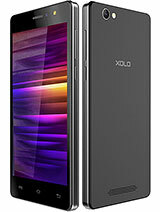 and we are getting what xolo has promissed in box.